Posted to web February 6, 2018. Updated October 22, 2018. Posted to web August 24, 2018. Updated October 22,2018. The shoreline is an important and sensitive area that connects the aquatic world with the adjacent upland. These “edge” areas provide essential habitat for fish, amphibians, reptiles, birds, insects, and other wildlife. They also set the stage for good water quality, as the vegetation and natural forest duff layer along the shore infiltrate pollutant- and silt-laden stormwater runoff, keeping lake water clean. 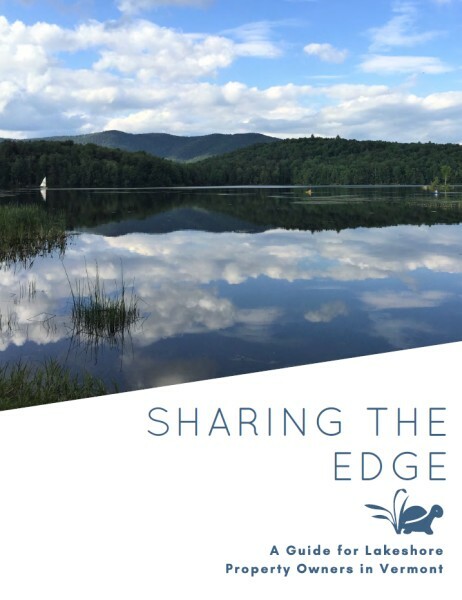 We’re looking to learn more about conditions on Vermont’s lakes – You can help! Registration is now open for the 2017 Lake Seminar. The 13th annual seminar will be held on June 2nd at the Canadian Club in Barre. The theme for this year's annual spring seminar is "Pathways to Healthy Lakes." The seminar will include morning presentations and afternoon workshops. Lunch is included with registration.